Kumite Classic Entertainment is a full-scale production company established in 1999 in Pittsburgh, Pennsylvania. KCE specializes in sports event management, publishing, film and movie projects. The company was established by Bill Viola Jr. who after a meeting with Arnold Schwarzenegger was inspired to create a multi-sports expo in his hometown. The convention hosts action sports and fitness competitions including: Crossfit, powerlifting, strongman, wrestling, teen strength, (body building, fitness, figure, physique, bikini, model competitions) and it’s signature Kumite Classic Martial Arts. Since its inception, the company has become an industry leader in the martial arts and fitness world. The “Classic” is a series of combat sports tournaments, championships and competitions that includes open and traditional sport karate, grappling, Brazilian Jiu-Jitsu, Kung Fu, Tang Soo Do, Tae Kwon Do and other martial arts. Each year the company produces the annual self-titled “Kumite Classic” and the annual Pittsburgh Fitness Expo. 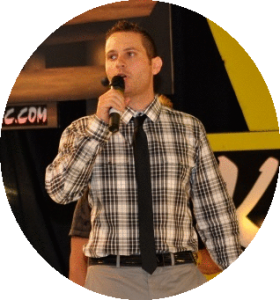 Bill Viola Jr. is the founder and president of Kumite Classic Entertainment. 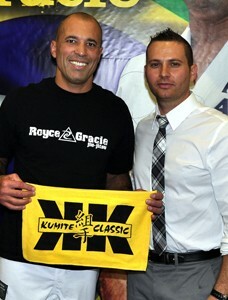 Under his leadership and creative vision, Kumite Classic has grown into the largest multi-sport convention in the region. The show is an industry leader in the fitness and martial arts genre. 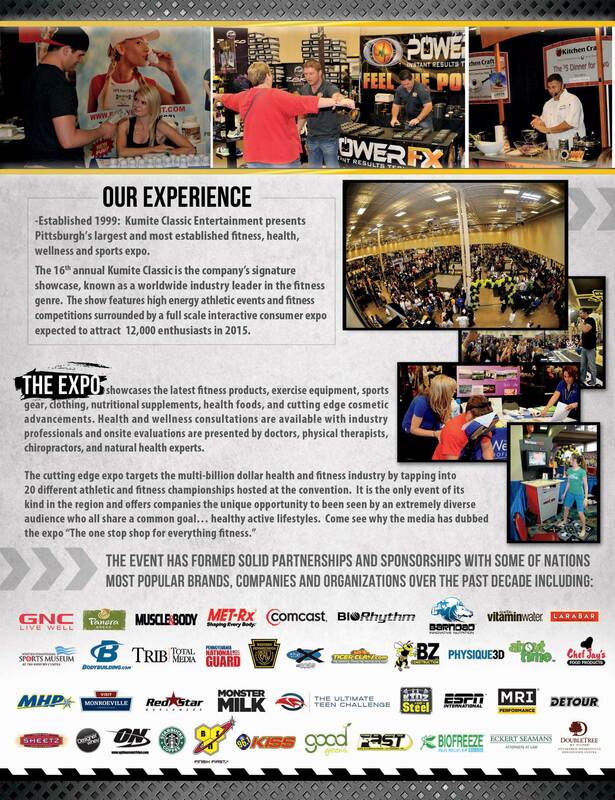 The Pittsburgh Fitness Expo is the most established expo of its kind in Western Pennsylvania catering to fitness enthusiasts and fans, and showcasing the latest products, equipment and trends in the world of fitness. Viola is an Amazon Best-selling Author. In 2014, Viola Jr. published the critically acclaimed non-fiction book Godfathers of MMA inspired by the life of his father. The book was the subject of the documentary film Tough Guys which made its network television debut on SHOWTIME (2017). The book was re-released as Tough Guys (a commemorative edition) and soared to the #1 on the Amazon charts for sports (October, 2017). Viola is now in negotiations to develop a screenplay for Tough Guys as a major motion picture. In 2016, he co-authored Go Ask Your Dad, an inspirational book about fatherhood which debuted on the Amazon best-sellers list. His work was honored by Pittsburgh Magazine who named him to the prestigious “40 under 40” list recognizing the most influential young leaders in the city. His most recent work is the creation of the “Sensei Says®” life skills and martial arts curriculum. He created Norwin Ninjas as a sister program to his families karate business (Allegheny Shotokan Karate) which his father, Bill Viola Sr., established in 1969. Viola Jr. explains, “We build champions in life.” He is part of a growing Pittsburgh karate legacy that that includes all four of his sisters and his daughter, Gabriella Capri Viola, and son William Viola IV. read more. World class experience makes a difference! 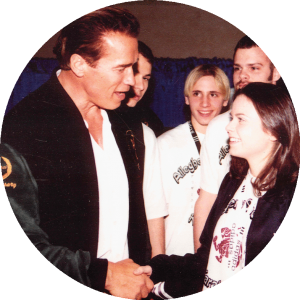 Pictured left is Addie Viola, congratulated by Arnold Schwarzenegger after winning an Arnold Classic Title, in Columbus, Ohio. -1998. Our staffs of over 100 industry professionals and volunteers are handpicked from around the world to organize and coordinate The Kumite Classic Expo.